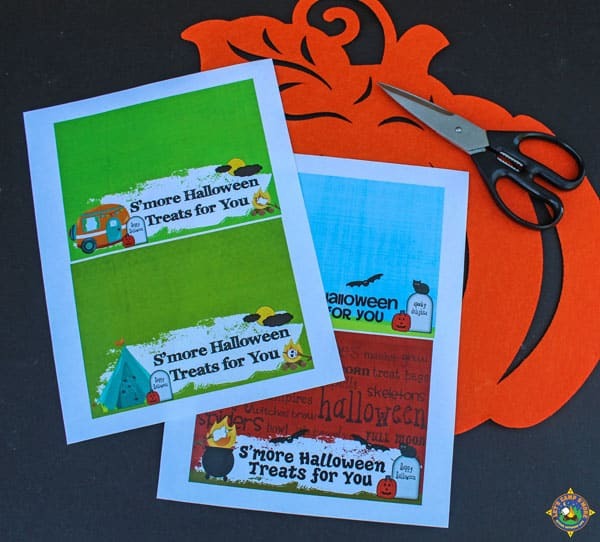 Pass out fun Halloween Peeps S’mores in plastic bags with these free printable toppers. Halloween is around the corner and it’s time to start thinking about what you are going to pass out to little trick-or-treaters this year. 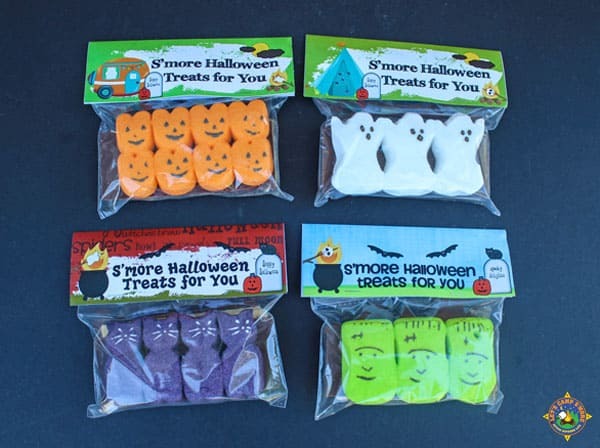 How about a Halloween Peep S’mores Kit? 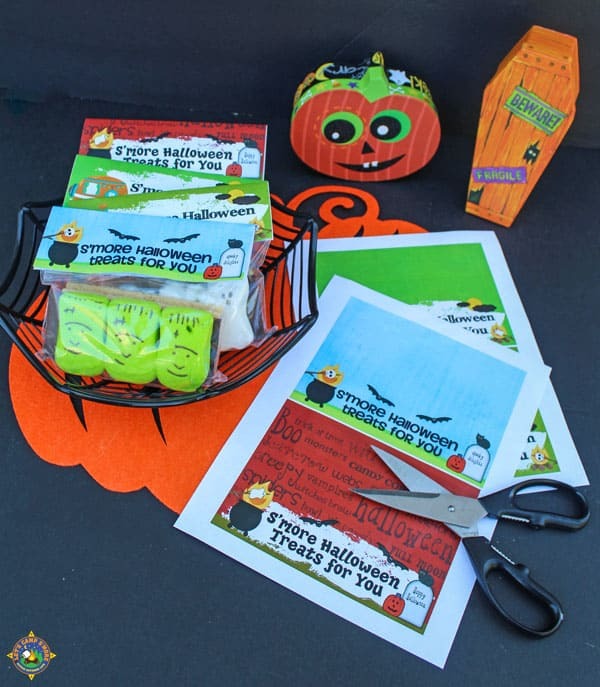 These fun kits are perfect to give out at truck or treat, in the classroom, or neighbors. Each October we attend a fall camping rally. It’s a fun gathering of pop-up owners at a local state park. The weekend includes a lot of food, talking, and activities for the kids. Those activities include crafts and trick or treating. Sometimes other campers in the campground get into the fun of it. Many people at our fall rally decorate their campsites for Halloween. Halloween camping has become popular. There are several campgrounds around the nation that hold annual Halloween bashes. People decorate their campsites, dress up in costumes, and the kids go trick-or-treating. 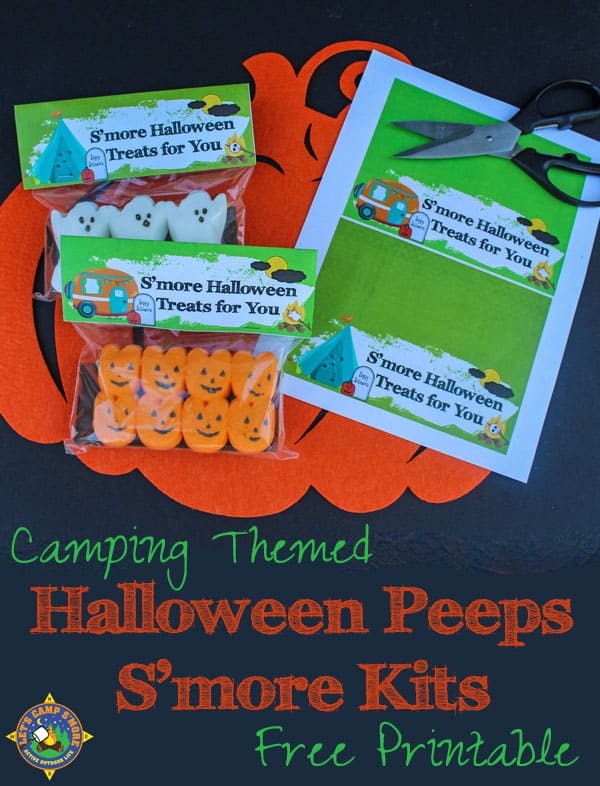 We are hoping to go to one of these Halloween camping events in the future. The only problem is that many of these campgrounds sell out months in advance and we don’t know our fall schedule until after the school year has begun. 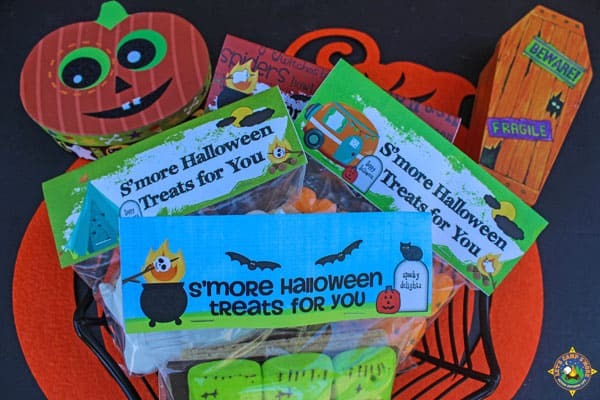 Since so many people like camping at Halloween, we thought it would be fun to create a camping-theme Halloween S’more kit. 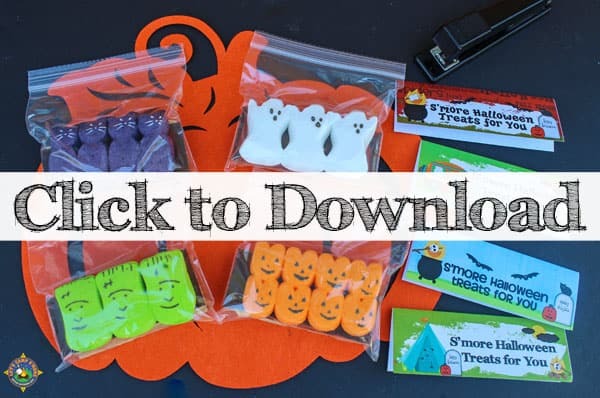 These cute kits include Halloween Peeps. 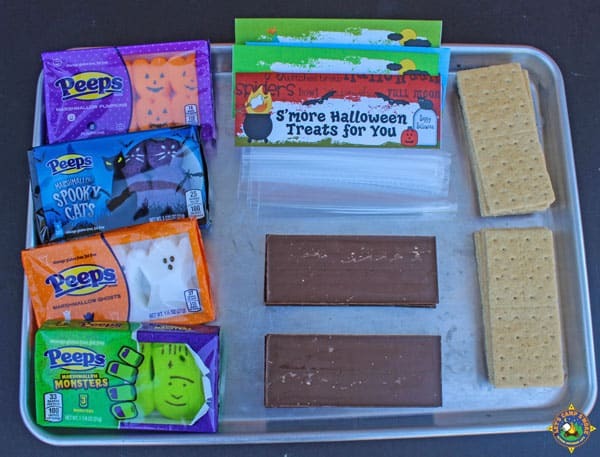 The free printables are attached to the top of a plastic sandwich bag that contains two graham crackers, a chocolate bar, and some Halloween Peeps. We have included some non-camping theme toppers too. You can download them below. I had a hard time finding the Halloween Peeps but finally found them at Target. The individual packages are the perfect size for the sandwich bags. These cute Peeps come in pumpkins, cats, ghosts, and monsters. Click the image below to download the pdf of both designs. Which design do you like the best? I’m partial to the camping designs.